Here at My Next Box, we provide refurbished IT equipment which combines effectiveness with affordability. 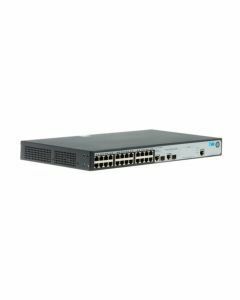 Browse our HP switches and you’ll find that you can transform your IT infrastructure for much less than you’d pay if buying new. HP is a brand name with a reputation for reliability and quality. Every switch we stock has been tested, passed and given a 12 month Return to Base warranty. Concerned about quality? The premium packaging we use to ship our goods proves that opting for refurbished equipment doesn’t mean compromising on the calibre of the IT network you’re putting together. Which Switch Should I Choose? If you’re creating the IT infrastructure for a small business or start-up, HP ProCurve switches offer the perfect solution. For medium to larger size businesses, the HP Enterprise range is more than capable of delivering. Switches such as the 3810M, with either power over Ethernet (PoE) or PoE + 1GB copper can be fully managed. They also combine resilience with flexibility and staying power, making them a great all-rounder. A 48 port version such as the JL074A helps to create a system which can handle the demand you throw at it today and grow to meet the challenges of the future. The advantages of purchasing refurbished HP switches don’t begin and end with minimising your capital outlay. By shifting away from buying new hardware, you’re creating an eco-friendly procurement policy which will help your business play a part in protecting the environment. 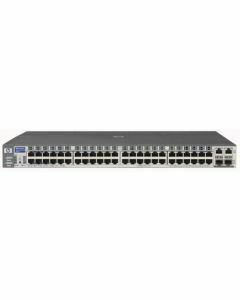 Refurbished HP switches are ideal for all business sizes. Browse our certified selection of switches & choose a sustainable alternative for your business.